Family, of course, refers to the Yeung family and their descendants. Only Yeung Family members are taught the complete body of knowledge. However, Yeung family members can and have accepted disciples (apprentices) who then may go on to become teachers of Yeung Family Style. Traditionally these teachers are eventually permitted to accept their own disciples, if they wish, and so on. Teachers accept Disciples (apprentices) for a variety of reasons, using their own personal criteria. Once accepted, an apprentice commits to 10 or 15 years of continuous learning, after which time, s/he may continue learning with the teacher or may choose to pursue an alternate direction. The underlying principles regarding the obligations of a disciple have been carried forward by the family for generations. Disciples must respect the teacher’s continued guidance through diligent and consistent practice and must steadfastly support the basic principles of Yeung Family Tai Chi Chuan. All disciples are listed in the “School of Yeung’s Style of Tai Chi Chuan,” ledger, but they are not considered a part of the Yeung’s family lineage. Lastly, the Student level designates a high level of training, that with direct permission of the teacher, qualifies an individual to instruct. 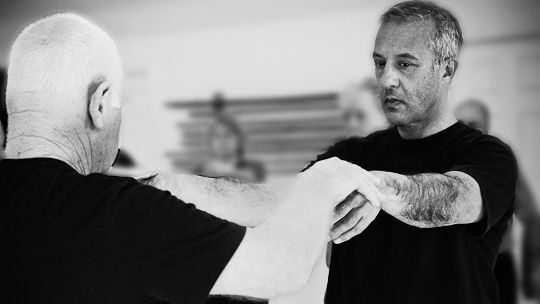 Yeung Tai Chi Chuan is an unparalleled health maintenance exercise and an extraordinary defensive art. However, its principles of understanding human physiology and applying self-defense applications are only as valuable as the source from which they spring.